In the context of rapidly changing political scenes of many developing countries around the globe, state building has been a collective concern and is widely debated throughout the academia. 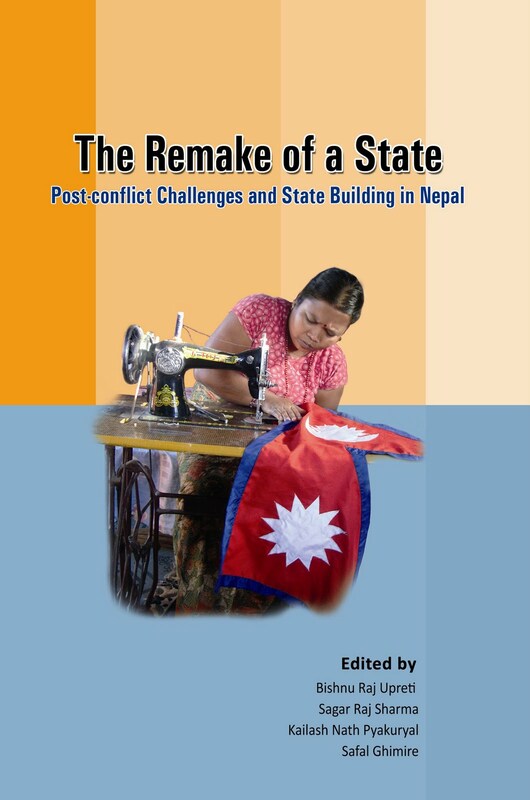 Amidst this context, the present book is basically an outcome of the contributors' observation, points of view and analyses over the issues pertinent to the state building in post-conflict Nepal. At the very crucial phase of Nepali society and politics, this book not only imparts hope, but also warns of challenges ahead. It talks on policies, principles, practices and institutions, and their restructuring in the immediate aftermath of conflict. Its 15 different chapters deal with the issues such as private sector, poverty and good governance, tourism, property right, reconstruction and development, land, migration, militarisation of youths, urban crime, small arms and light weapons, socio-psychological reconciliation and reintegration, and contradiction and duality over the political process. 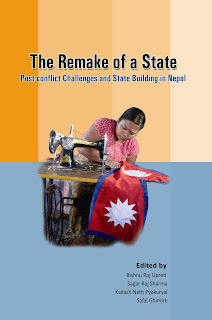 Finally, the book comes up with the message that, with the complexity and context specificity, the post-conflict state building in Nepal requires sustained and serious efforts to succeed. Bishnu Raj Upreti is engaged in conflict transformation in the capacity of academic, researcher and practitioner. He did his PhD in conflict management (2001) from the Netherlands. Since 1996, Dr Upreti has been actively engaged in conflict studies and has been extensively publishing nationally and internationally based on his research and practice. In the process of research, he has gained field experiences from Nepal, Thailand, Northern Ireland, Ethiopia, Mozambique, South Africa, Ivory Cost, Tajikistan, Pakistan, Costa Rica and India. He spent a decade studying, teaching and researching in the Netherlands, the UK, the USA, Canada, Sweden, Germany and Switzerland. Visiting scholar in different US and European universities, he is currently the South Asia Regional Coordinator of NCCR North-South and is also teaching at Kathmandu University. Sagar Raj Sharma holds PhD in Development Economics from Fukuoka University, Japan. He has worked extensively in the fields related to Foreign Aid and Development, Private Sector, and Land Reform in Nepal. He has extensive experience of working in the development sector both as an academician and a practitioner. With the experience of teaching in both national and international universities, he is currently the coordinator of the graduate programme at the Human and Natural Resources Studies Centre (HNRSC) of Kathmandu University. Kailash Nath Pyakuryal holds PhD in Sociology from Michigan State University, Michigan, the USA and M.S. degree in Agriculture from the American University of Beirut, Beirut, Lebanon. At present, he is a Faculty on Contract at Kathmandu University. Recently, he has coordinated a global research in Partnership Dynamics between the North and the South with the support of the Swiss National Centre for Competence in Research (NCCR North-South). In the past, Professor Pyakuryal served as the Member of National Planning Commission of Nepal (1995) and the Dean of Agriculture at the Institute of Agriculture and Animal Science (1985-1988). He specialises in natural resource management, comparative research, poverty research, farming systems research, institution building as well as human resource development. Safal Ghimire, a Masters' student at Human and Natural Resources Studies Centre in Kathmandu University, is the Research Officer at the South Asia Coordination Office of the Swiss National Centre of Competence in Research (NCCR) North-South. As a translator, editor, and co-editor, seven books are published so far to his credit on conflict and general literature. In addition, he has authored and co-authored various chapters in the books on conflict transformation and published articles on magazines and daily newspapers.